Today, updates were made to the Leader and Clerk Resources (LCR) (online at lds.org/lcr) to support the management of ministering assignments and the recording of ministering interviews. 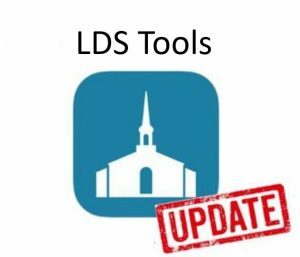 An updated version of the LDS Tools app is also available so you can update your app and re-sync the data for your ward. As announced in April 2018 general conference, home teaching and visiting teaching have been replaced by a coordinated effort called “ministering” (see ministering.lds.org). The following adjustments to reporting tools and quarterly reports support this effort. Assign a presidency member to each district. View ministering assignments on a map (in LDS Tools). Assign Mia Maids and Laurels as companions to Relief Society sisters, teachers and priests as companions to elders quorum brothers, and husbands and wives as companions to each other. Email assignments to ministering brothers/sisters. Print assignments for ministering brothers/sisters. Expanded access to ministering information to include stake presidencies, stake clerks, stake executive secretaries, high councilors, and stake Relief Society presidencies. Enhanced the Ministering Assignments report by adding a tab for individuals. Added a Ministering tab to the Young Women organization page, with assignment information for Mia Maids and Laurels. Added the ability for ministering brothers to see the ministering sisters of those to whom they are assigned, and vice versa. Added an organization page for the stake high priests quorum. Discontinued the callings of ministering coordinator and ministering supervisor. Added the calling of ministering secretary with access to LCR. Elders quorum and Relief Society leaders can record the months an interview is held and who participates. A companionship is counted as interviewed for the quarter if at least one member of the companionship participates in an interview. View the last interview date for ministering brothers and sisters. Track if only one or both people in the companionship attend the interviews. Note: The ability to enter or view the number of visits or contacts with individuals and families was removed in April. The quarterly reports for 2017 and before continue to show the percentage of families and sisters visited during the last month of each quarter. The quarterly reports for the first two quarters of 2018 do not include any statistics about home teaching and visiting teaching. The quarterly reports for the third quarter of 2018 and beyond will show the percentage of companionships interviewed at least once during each quarter. Prospective elders advanced to the Melchizedek Priesthood (line 5). Adults and youth who submitted ancestor names for temple ordinances (line 9). Converts age 12 and older who have submitted ancestor names for temple ordinances (line 25). This looks like Home Teaching and Visiting Teaching but with a different name and with a few tweaks. I do prefer ministering over the Home and visiting teaching labels. Ministering puts us in the mainstream with other Christian religions who have been ministering for years and it also conforms to the scriptures. In trying to bring up ministering assignments. The page comes up and the disappears from my iPad. Do you have a calling that allows access to the ministering functions? If you were previously a coordinator or supervisor, those callings have been discontinued. Try online directory shows ministering sisters and brothers. The ministering section is not coming up for me. We’ve just changed some companionship’s and I need to make edits. Am I missing something? Where do I find the Managing Ministering Assignments section. I did to make changes to and add companionships’s. I’ve clicked on everything available. Please help me out.